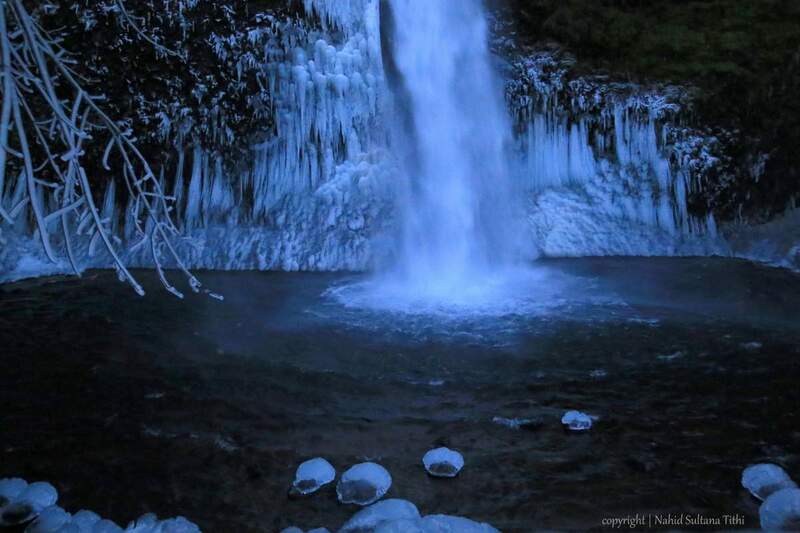 We started our 2015 by visiting some frozen falls on Historic Columbia River Highway in Oregon. It was the afternoon of January 1st, 2015 when we started driving towards this scenic highway. My uncle-in-law from Chicago was visiting us and we wanted to show him the wintry look of Oregon. 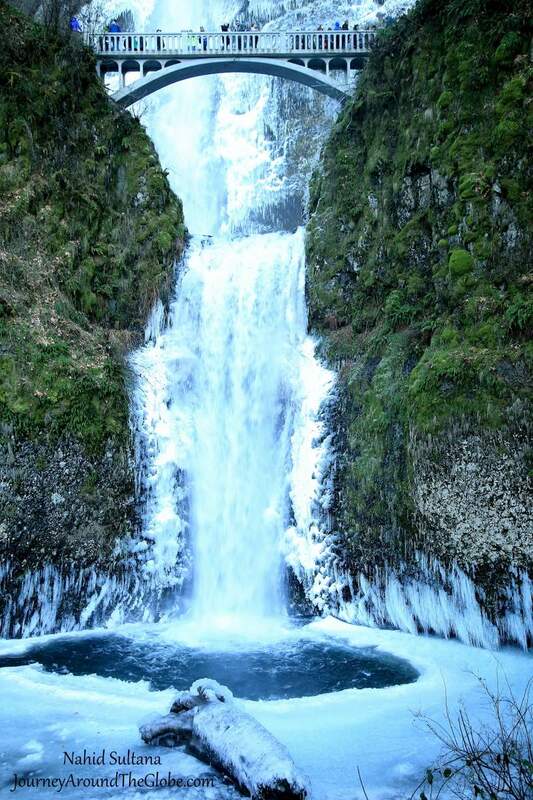 We first visited Latourell Falls, then made an attempt to visit Bridal Veil…but because of the icy path, we couldn’t go all the way down to the falls. Then started driving towards Multnomah Falls. And from there, another ten minutes drive to our final spot Horsetail Falls. I’ve never visited Horsetail Falls before. It’s right on the historic scenic highway, you can’t miss it…because your car will be showered by the water from the falls. There is a small parking lot opposite of the falls. None of my family members came out, not only because it was freezing cold and windy, but also it was very slippery. I managed to go as close as possible towards the falls, took some pictures, and hopped right back inside the car. 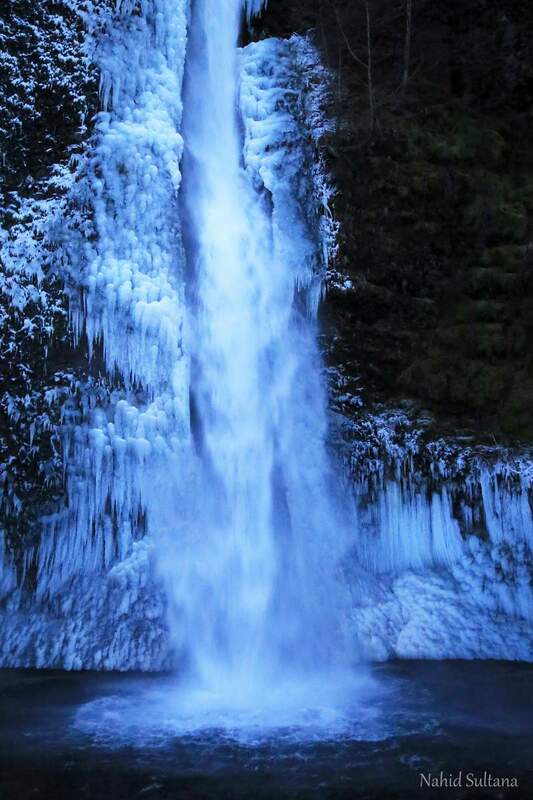 Here are some pictures of frozen Horsetail Falls of Oregon. I am planning to go back there again in summer or autumn and will upload different view of the falls then. Happy New Year and best wishes to everyone.